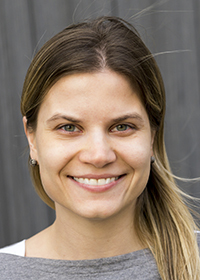 Karolina Lempert, PhD joined the Penn Memory Center in 2016 as a Penn Memory Center postdoctoral scholar. She received her bachelor’s degree in neurobiology at Harvard and her Ph.D. in psychology at NYU. Dr. Lempert is working on studies looking at how changes in episodic memory with aging might lead to changes in economic decision-making. Her doctoral dissertation was about the role emotion plays in economic decisions. Dr. Lempert is looking forward to applying what she learned in her higher education to the geriatric population in order to learn more about the neuroscience of decision-making.